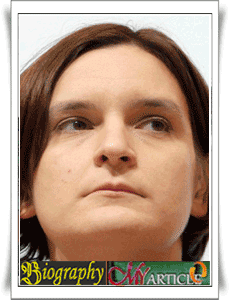 Esther Duflo, a French nationality. Born on October 25, 1972 dai Paris, France. A young economist who is engaged in socio-economic and economic development. Founder Abdul Latif Jameel Poverty Action Lab engaged in economic development to eradicate poverty. Duflo was appointed as Professor of Poverty Alleviation and Development Economics at the Massachusetts Institute of Technology. Focus on micro-economic research in developing countries, including the behavior of society, education, access to finance, health, and law. Together with his colleague, Abhijit Banarjee, Daan Karlan, John A. List, Michael Kremer, and Sendhil Mullainathan, Duflo get a lot of experience and knowledge in the methodology to discover causal relationships in economics. In April 2011, Duflo released his latest book titled Poor Economics and colleagues, Abhijit Banarjee. The book contains the documentation of their 15 years of experience in research on the impact of poverty. Duflo received many awards, among others, John Bates Medal she won in 2010 and Calvo-Armengol International Award in the same year. Duflo educational background is a graduate of MIT (Massachusetts Institute of Technology) and L'Ecole Normale Supérieure in Paris. He obtained a PhD in Economics at MIT in 1999. At the age of 29, Duflo successfully got his youngest tenured professor at the university. The main purpose of Esther Duflo is the creation of justice and prosperity evenly. Esther Duflo known as the inventor of economic development. Awards for his achievements in the field of educational advancement of the economy also came from Foreign Policy magazine as a Top 100 and Top 100 Public Intellectuals Global Thinkers in May, 2008. The Economist also as eight youngest and most influential economists in the world in 2010.